IAFF: Local 1717. Bourne Personnel are civil service. Minimum staffing is (9) working per shift. The week includes (2) 24 hour shifts 0800-0800. Approx 46 sworn officers, 4 dispatchers, 3 admin. The first fire apparatus in Bourne came as the result of the "Progressive Society" in the various villages of the town. The Buzzards Bay P.S. apparently purchased the first firefighting equipment in the early 1900's. A "Club house" was established at the Cohasset Hall on Main Street, Buzzards Bay. In 1907, there was a combination hook & ladder as well as a chemical engine (of some variety). By 1922, horse drawn apparatus was "obsolete" and a Ford/American LaFrance pumper and 2nd chemical truck was purchased. Articles of "Incorporation" were developed in Aug 1922 making Mr. Johnson the first Fire Chief. In March 1925, the first Board of Engineers meeting was held. At that time, 2 engines were bought for $1500. At this point there were engines in Buzzards Bay, Monument Beach, and Sagamore. In 1931 the Cohasset Hall burned. In 1932 the Buzzards Bay Fire Station was built on its present site. 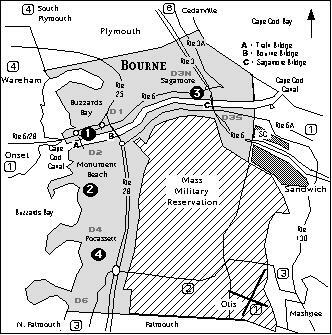 In March 1932 the town of Bourne accepted MGL.ch.48, 42, 43 for governing fire dept. In 1939 there were 6 fulltime and 73 call personnel with 10 trucks in service. Buzzards bay had Eng 1, Eng 7, Hose 1, Ladder 1. Monument Beach had Eng 2, Eng 3, and the Fire Patrol. Sagamore had Eng 4. Pocasset had Engine 5. In 1938 the first radios were installed. The Fire Chief between 1932-1936 was Chief Taylor. Chief Wallace served from 1936-1956. Deputy Chief Thomas J Philbrick served from 1932-1963. In July 1991, Bourne Fire Department faced a major budgetary deficit and 12 of 36 fulltime fire fighters were laid off. 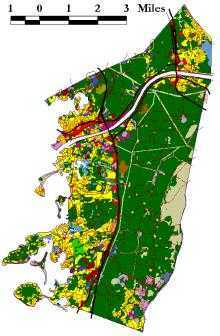 This resulted in the closing of two staffed fire houses and eliminated ambulance coverage south of the Cape Cod Canal. Attempts to restore funding failed for several years until 1994 when sufficient personnel were hired to once again staff the Pocasset Station. 1981 - Dec 22 - One cadet was filled and others injured during a multiple alarm fire aboard the 532 foot Massachusetts Maritime Academy ship "Bay State." Mutual aid operated for several hours to contain the below decks fire. 1988 - Sept - Two people were killed in an accident involving an 18 wheeler and several vehicles at the north approach to the Bourne Bridge. Fires and numerous injuries resulted. 1990 - Jan - Three were killed in a headon MVA at the southern approach to the Sagamore Bridge. 1991 - April 1 - The China Bay Chinese restaurant was destroyed by a 4 alarm fire at 0030 hrs. The fire at the east end rotary in Buzzards Bay was spectacular and required extensive mutual aid. 1993 - Aug 25 - The former Sagamore Lumber yard on Freighthouse Road, South Sagamore, was destroyed in a 3 alarm fire at 0118 hrs. Six towns assisted Bourne FD as they protected a 30,000 and (2) 18,000 gallon propane gas tanks exposed to the fire. 1994 - Nov 27 - A huge 100 year old mansion at the end of Monument Neck Road in Monument Beach was destroyed in a spectacular fire at 1531 hrs. Efforts were hampered by water supply problems, access, and the size of the waterfront house. 1994 - Nov 28 - A mother and child were killed in a headon MVA on Bourne Scenic Highway. 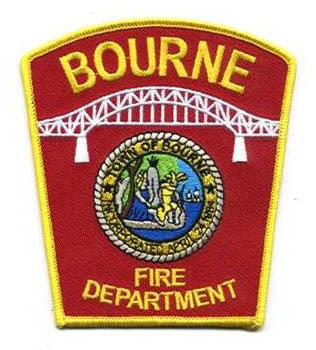 Bourne Fire Radio Call Sign...............KNAW 393.........."Bourne Fire"
Bourne Police Dispatch ID..................WNIW 407..........."Bourne Police"